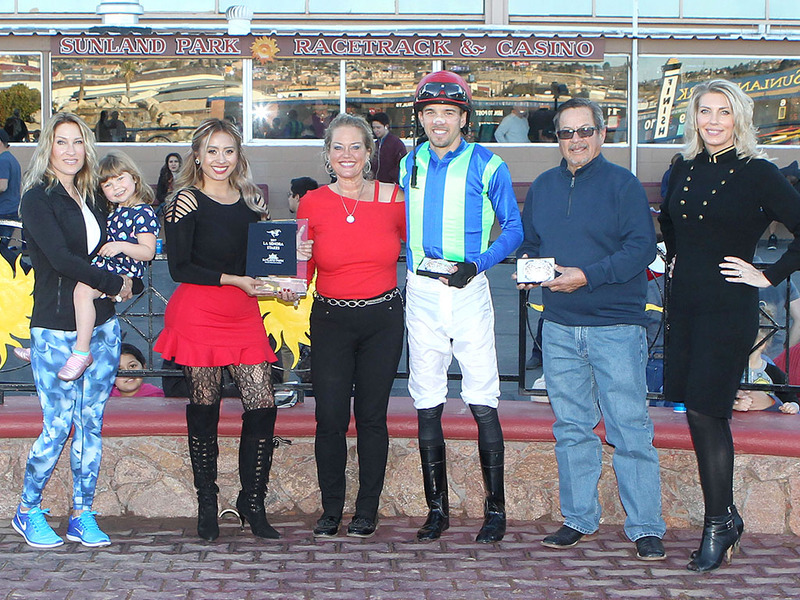 Despite enormous pressure, Fast Gator fought back in deep stretch to overhaul upstart Country Club Cutie and win the $85,000 La Senora Stakes at Sunland Park on Saturday. The unbeaten daughter of Diabolical set a wicked pace early, lost the lead in upper stretch, and came back to win the 6 furlong feature in the final jumps. Fast Gator responded bravely for jockey Ry Eikleberry to win by a half-length in a time of 1:09.16 and remain unbeaten in 4 starts. 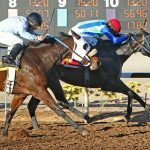 The 4-5 favorite trained by Henry Dominguez rates the top New Mexico-bred 2-year-old Thoroughbred for 2017. She earned $51,000 for local owners Kirk and Judy Robison. 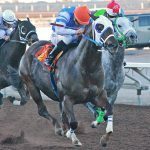 The 3-time stakes winner completes the year with earnings topping $204,000. She set a fast tempo of 21.68 and 44.13 seconds for the first two calls and still prevailed. 15-1 long shot County Club Cutie ran the race of her young career for trainer Dallas Barton. The brave filly roared with a wide run to take the lead in upper stretch and put the favorite to the test. The Quinton’s Gold filly just missed under jockey Duane Sterling in her only second career start. She earned $17,000 for J.H. Barton, Barbara Barton and the estate of J.D. Barton. Money Order finished a distant third, beaten nearly 3 lengths. 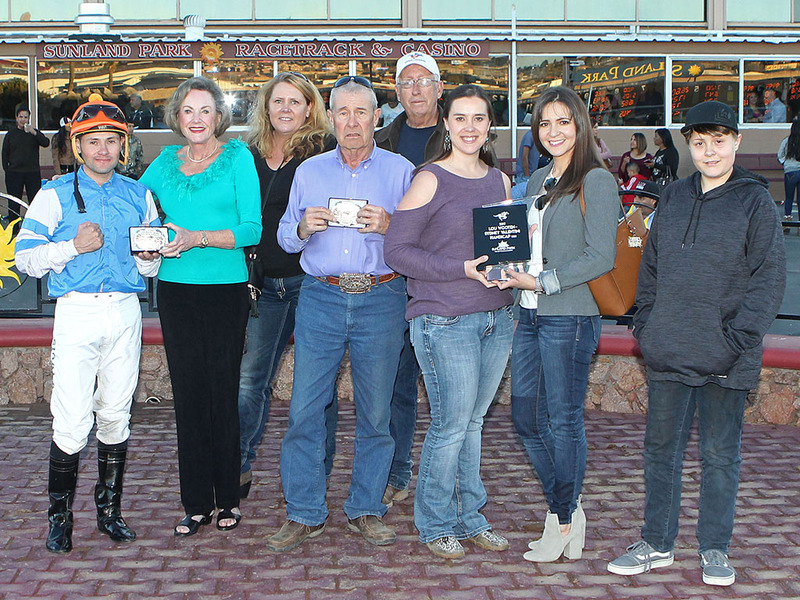 In a flawless performance, Princess Jesse roared to victory and collected her second straight $85,000 Lou Wooten/Sydney Valentini Handicap going 400 yards. Let go at 7-2, the multiple stakes winning mare dismantled a field loaded with stakes winners. 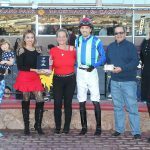 Under jockey Alfredo Sigala, Princess Jesse defeated 40-1 longshot Straw Fly Flower by three parts of a length. The Jesse James Jr. mare owns 9 wins from 18 starts for trainer Vance Mikkelson. 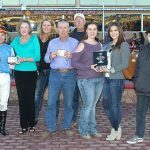 Saturday’s pay was worth $51,000 for the Mikkelson Racing LLC. The powerhouse mare has earned nearly $400,000 in her brilliant career. She covered the distance in a sharp 19.403 seconds, good for a 92 speed index. 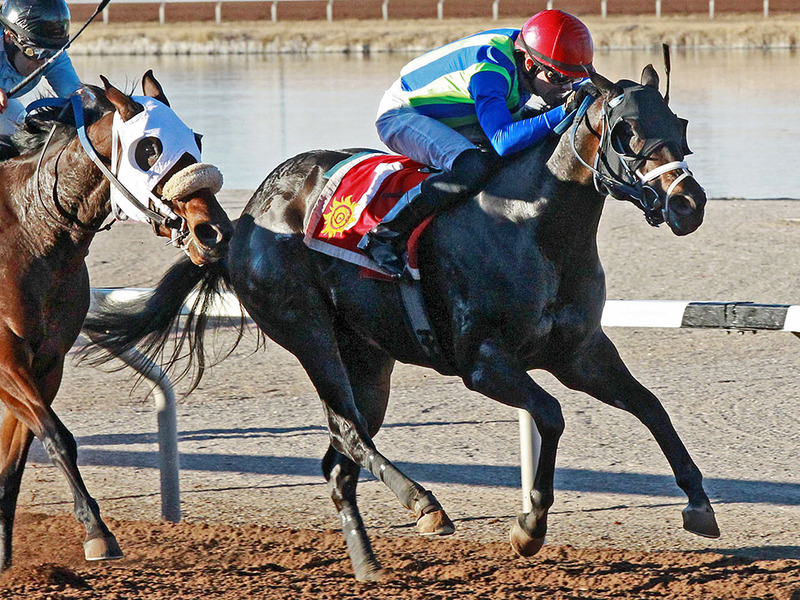 Running Dragon and Carson City Girl wound up in a dead heat for third, one length behind the winner. 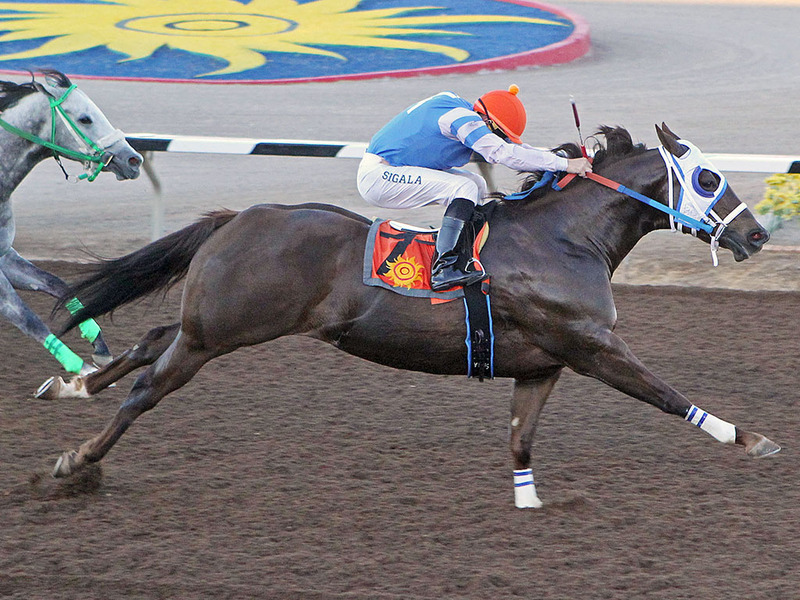 2016 World Champion Quarter Horse Jessies First Down returns to defend his title in Sunday’s $350,000 Championship (Gr. 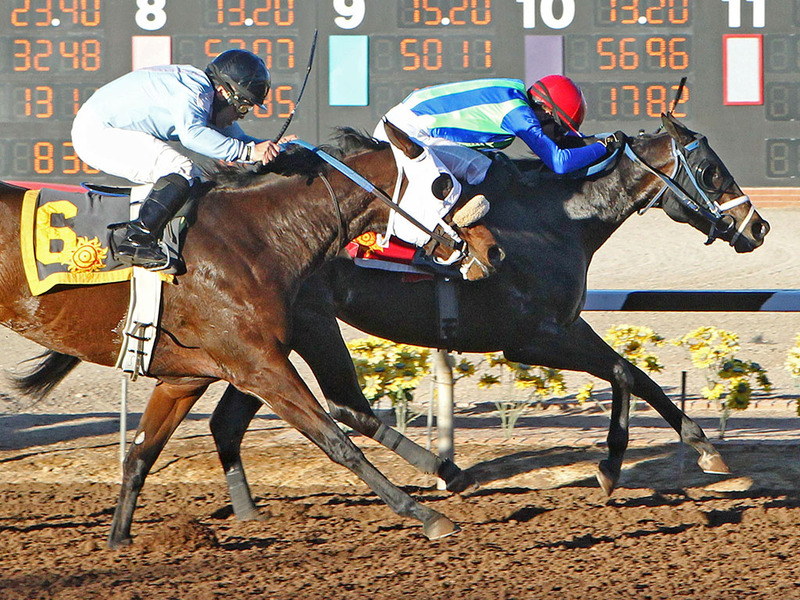 1) at Sunland Park (11th race). 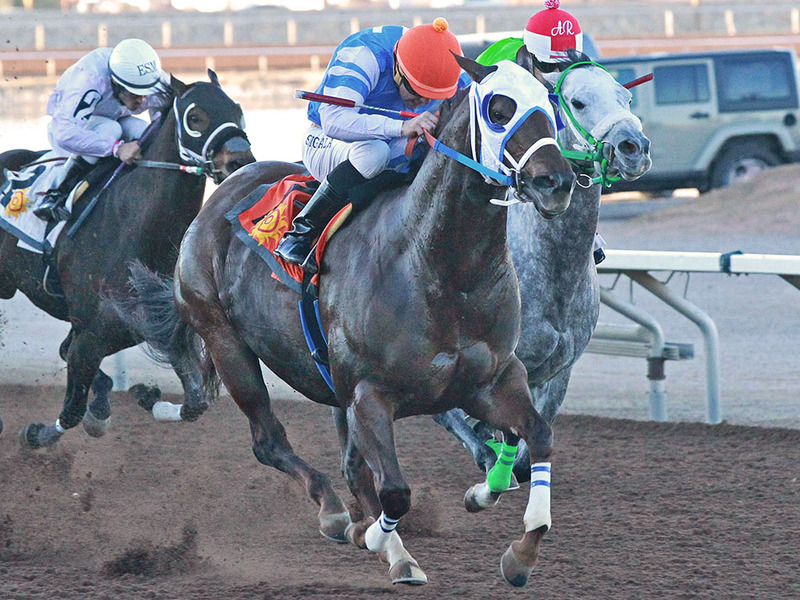 The $200,000 Sunland Park Winter Juvenile Championship at 400 yards is the 10th race. 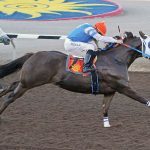 The 9th race is the 26th running of the $65,000 Bold Ego Handicap for fillies and mares racing five and one-half furlongs. The 8th race is the $85,000 Four Rivers/John Deere Stakes at 6 furlongs. Post time is 12:30 p.m.